Long ago, Dionysus (the god of wine) was frustrated with a young virgin girl named Amethystos. As per usual with Dyonisus and women, this was because she repeatedly refused his drunken advances. But what he didn’t know is the young virgin had been praying to the goddess Artemis to protect her chastity. Artemis responded by turning her into a white stone, a permanent symbol of purity. Humbled by her desire to remain chaste, Dionysus cried into his glass of wine and poured it over the stone as an offering. This turned the stone a beautiful purple color, a testament to her pure intentions for all eternity. 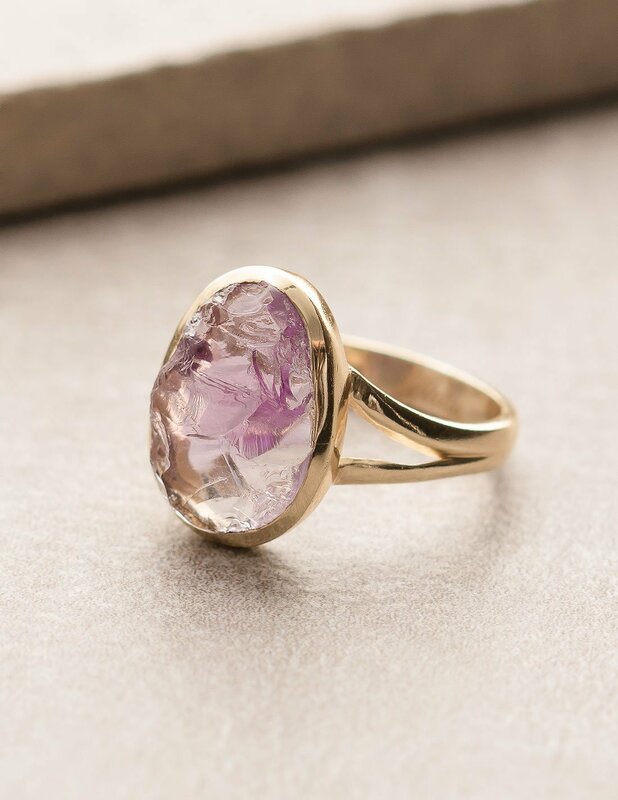 Though amethyst has been cherished since the time of the pharaohs, this simple Greek story is the origin of the name ‘amethyst’. 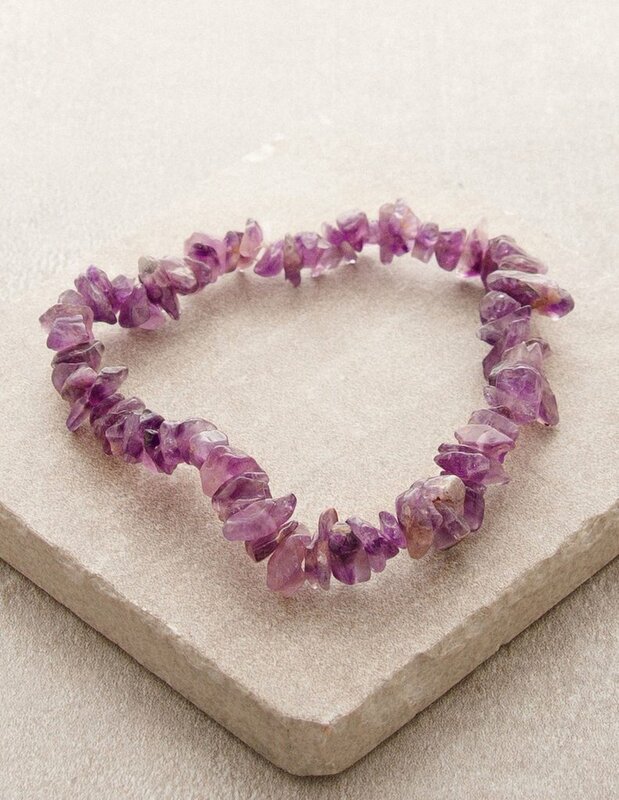 Physical- Amethyst is the stone most healers use to aid with headaches, pain relief, and sometimes insomnia. Surprisingly, it’s also used for withdrawal symptoms. Mental- Amethyst has a peaceful connotation, which is largely from its association to the Greek story. Supposedly the ancient Greeks would add amethyst to their drinks to prevent themselves from being drunk. This supposedly kept the mind sober, free from restless. Over time, this translated to things like emotions in general. 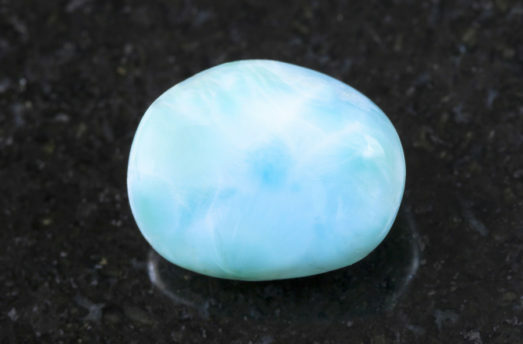 Hence, it’s said to be a good stone for peaceful vibrations. Spiritual- Calmness is essential to deep meditation. 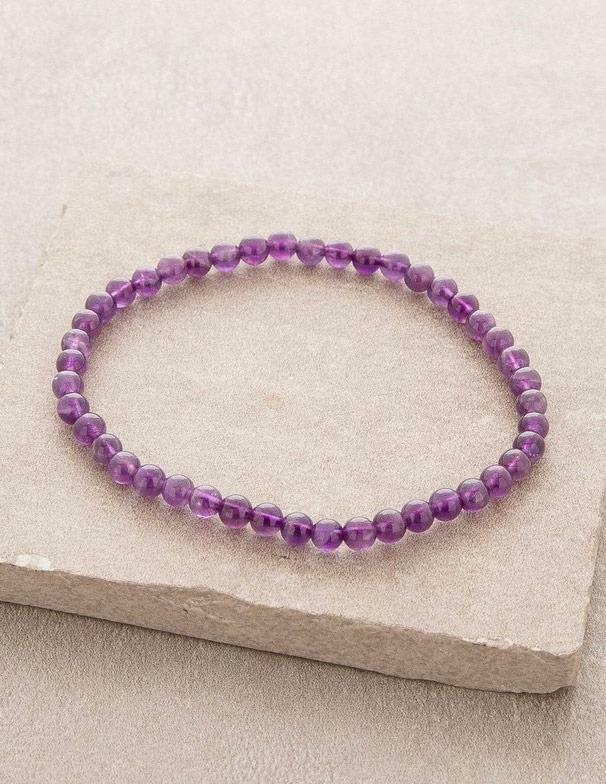 Because amethyst helps keep the mind from sliding into restlessness, it makes spiritual pursuits easier. 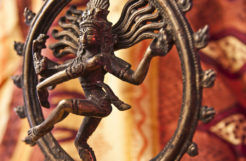 Psychic energy is said to flow easier as well. 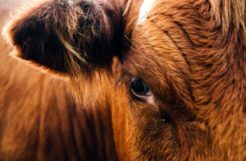 Here’s how you can implement some of these benefits into your life — without skimping on the looks. 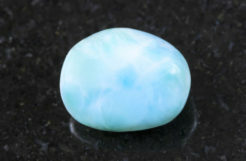 The most popular healing stone made in a small but might package. 4 mm beads are threaded by a stretchy cord without any frills. You can wear this discreetly or use it to tie together an outfit in a subtle way. Easy and beautiful! 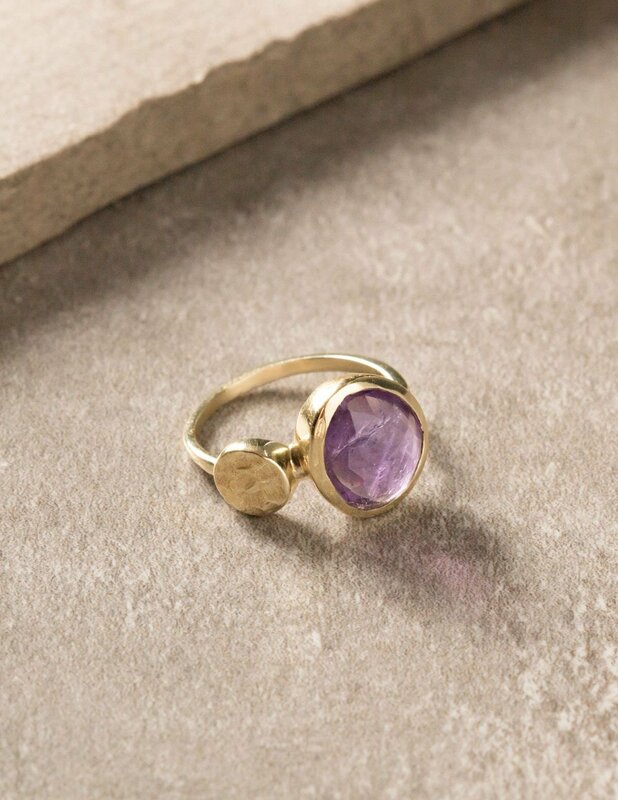 Each one of these rings is unique because the amethyst is raw and unpolished, giving you a stylish edge. 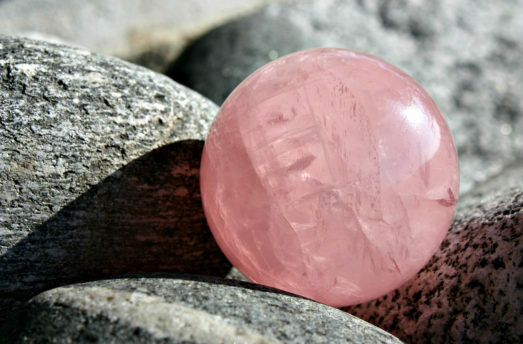 It’s a great reminder this powerful stone was created by mother nature, the source of us all. Set in pure sterling silver or gold plated. Sometimes life gets hectic…chaotic, even. 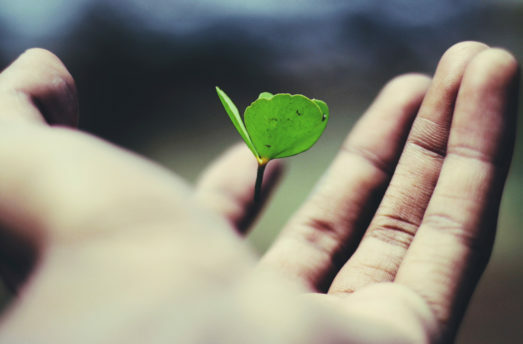 For those moments in life, we need to surround ourselves with things that remind us we have the strength to endure. We have to have the belief we’ll pull through. That’s what this bracelet is all about. 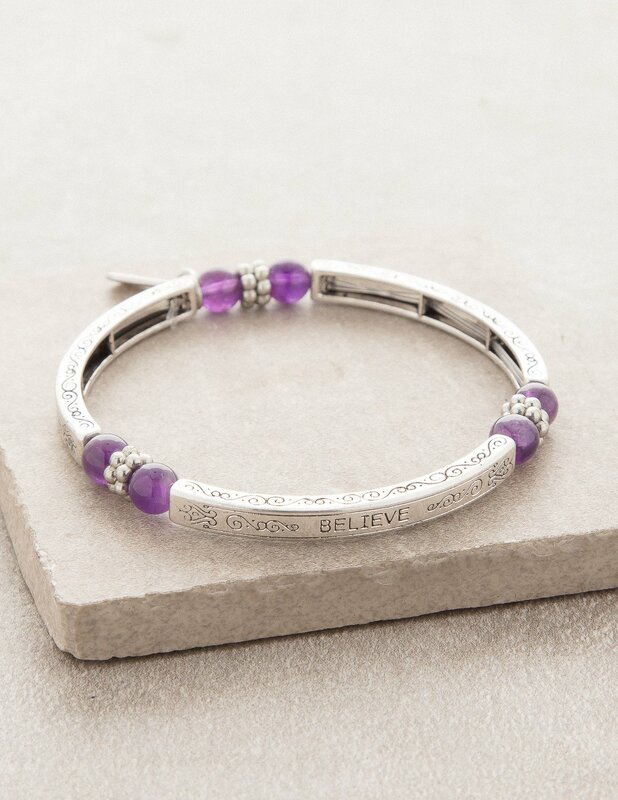 ‘Belief’ is literally written on the bangle itself, and combined with the healing nature of amethyst, it helps to spread positivity on all levels. 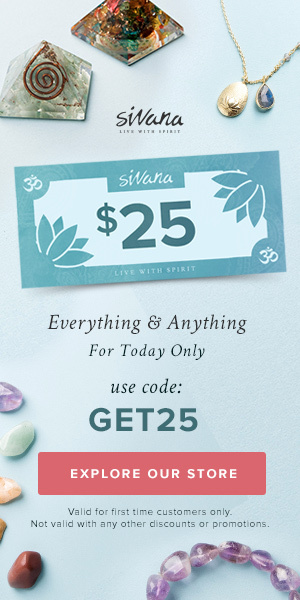 If you want to affirm faith and peace, this is a great way of going about it. 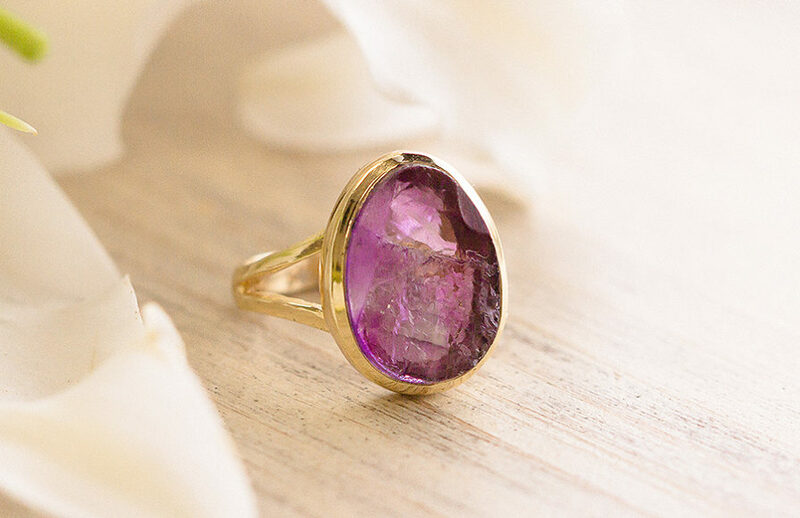 Raw amethyst sits in a truly unique jewelry frame. A small hand-hammered pebble sits off to the side, catching the eye. Perfect for those who are more open to fashion statements. 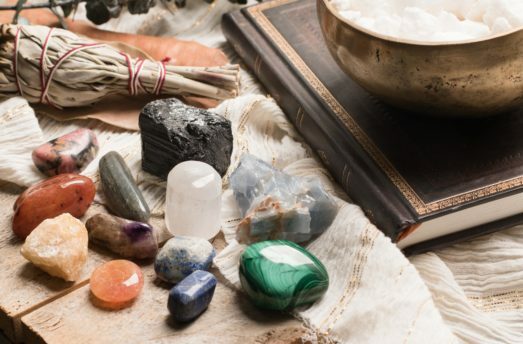 Most people don’t realize that pendulums are used extensively by psychics and mediums. 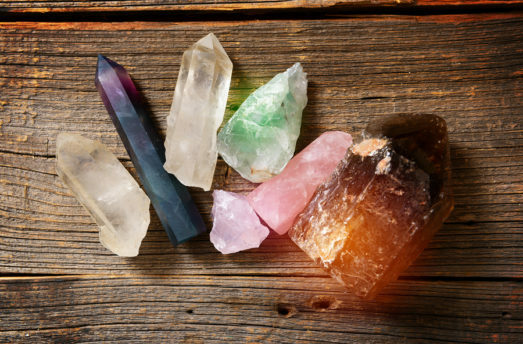 They’re tools used in aiding decision-making and seeing if you’re energy is off. 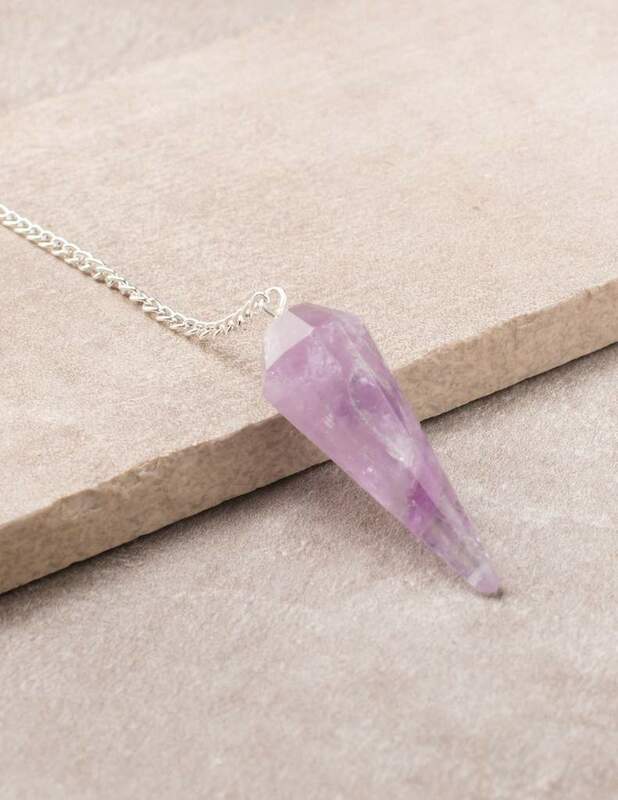 This simple pendulum can be used as a necklace as well. 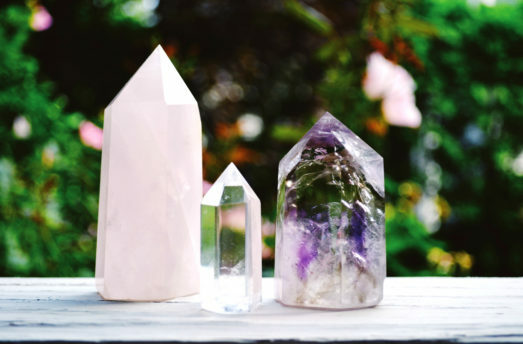 Orgone is considered to be one of the best ways to make harmful electromagnetic pollution (EMFs) harmless. It does this by changing the wavelengths so our bodies interact with it in a different way. 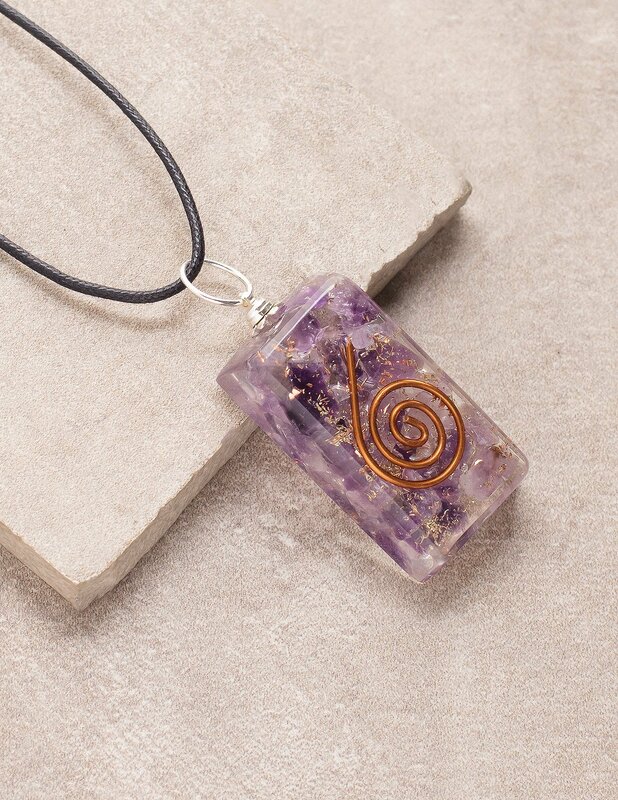 Combined with amethyst, this pendant has got some powerful vibes! Sometimes life gets a little too structured and we have a hard time seeing the universal energy around us. That’s when it’s good to find a reminder of the true nature of reality. Because they’re not perfectly polished, nugget gemstones such as these remind us of the unbridled creative energy of mother nature, and how we too can tap into that very same energy ourselves. Goes great with casual outfits, or even the right dress-up occasion.